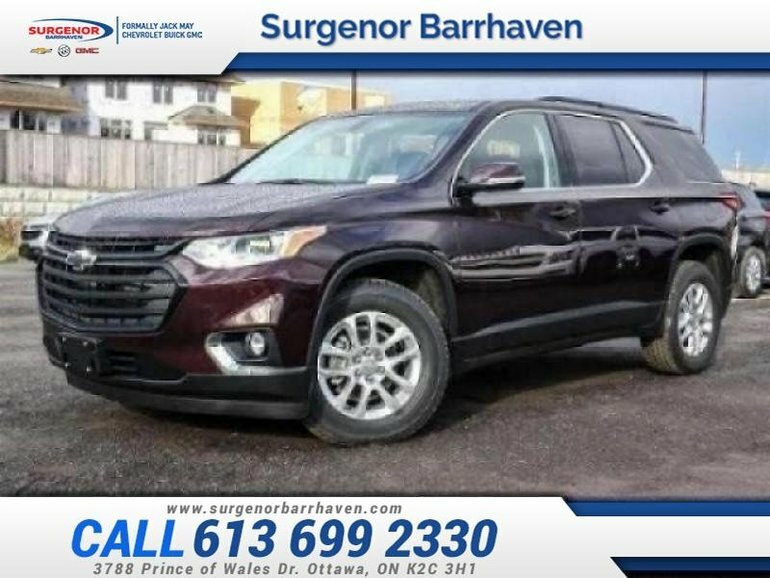 This black currant metallic SUV has an automatic transmission and is powered by a 3.6L V6 24V GDI DOHC engine. Motivated by that effortless motor it gets 13.7 L/100 km in the city and 9.5 L/100 km out on the highway according to Transport Canada. 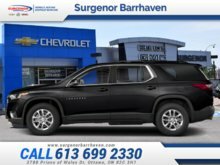 Our Traverse's trim level is LT. This LT Traverse adds some awesome features like a power programmable liftgate, heated front seats, blind zone monitoring with lane change alert, rear parking assistance, remote start, leather steering wheel, SiriusXM, trailering equipment including a hitch and 7 pin connector, fog lamps, side mirror turn signals, and a universal home remote to the LS trim. 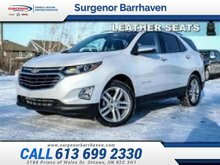 This Traverse is also equipped with Driver Information Centre, 4G WiFi, Chevrolet Connected Access capable, keyless remote entry, rear view camera, steering wheel with cruise and audio controls, Teen Driver technology, tri zone automatic climate control, 8 inch touchscreen infotainment, Apple CarPlay and Android Auto compatibility, Bluetooth, voice command, USB and aux jacks, traction mode select, StabiliTrak electronic stability and traction control, aluminum wheels, heated power side mirrors, LED daytime running lights, and active aero shutters. This vehicle has been upgraded with the following features: Interior Protection Package. 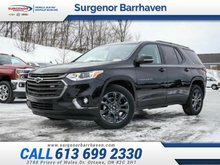 To view and download a brochure open this url https://www.chevrolet.ca/content/dam/chevrolet/na/canada/english/index/download-a-brochure/02-pdfs/my19-cdn-traverse-brochure-en.pdf. Total rebate of $500 is reflected in the price. Credit includes $500 Delivery Allowance. 1.99% financing for 84 months. Incentives expire 2019-04-30. See dealer for details. 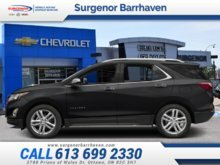 Interested in the 2019 Chevrolet Traverse LT - $279.34 B/W ? $45,120 * Plus HST and licensing. Freight & Fees Included. $45,970 * Plus HST and licensing. Freight & Fees Included.